A. (1) The avails of the tax imposed by this Chapter from the sale of services as defined in R.S. 47:301(14)(a) in Madison Parish under the provisions of this Chapter shall be credited to the Bond Security and Redemption Fund and after a sufficient amount is allocated from that fund to pay all the obligations secured by the full faith and credit of the state which become due and payable within any fiscal year, the treasurer shall pay the remainder of such funds into a special fund which is hereby created in the state treasury and designated as the “Madison Parish Visitor Enterprise Fund”. (2) The avails of the tax imposed by this Chapter from the sale of services as defined in R.S. 47:301(14)(a) in Richland Parish under the provisions of this Chapter shall be credited to the Bond Security and Redemption Fund and after a sufficient amount is allocated from that fund to pay all the obligations secured by the full faith and credit of the state which become due and payable within any fiscal year, the treasurer shall pay the remainder of such funds into a special fund which is hereby created in the state treasury and designated as the “Richland Parish Visitor Enterprise Fund”. B. (1) The monies in Madison Parish Visitor Enterprise Fund shall be subject to annual appropriations by the legislature. All unexpended and unencumbered monies remaining in the fund at the end of any fiscal year shall remain to the credit of the fund. All monies in the fund shall be invested by the treasurer in the same manner as the monies in the state general fund, and all interest earned shall be deposited into the state general fund. (2) The monies in Richland Parish Visitor Enterprise Fund shall be subject to an annual appropriation by the legislature. All unexpended and unencumbered monies remaining in the fund at the end of any fiscal year shall remain to the credit of the fund. All monies in the fund shall be invested by the treasurer in the same manner as the monies in the state general fund, and all interest earned shall be deposited into the state general fund. Acts 1992, No. 983, §1, eff. 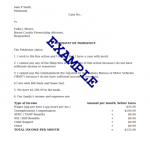 for taxable periods on or after July 1, 1993; Acts 1998, 1st Ex. Sess., No. 61, §1, eff. May 1, 1998.